2017 has been a hectic year to say the least, however on the JVM side of things I’m quite happy with the results so far. 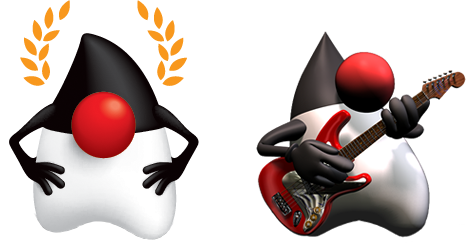 We’ve got a brand new release of Java in September! The feature list added to Java9 is impressive, you can catch a glimpse of what’s new in Trisha’s (@trisha_gee) Real World Java 9 talk. Of course the elephant in the room when it comes to Java 9 is Jigsaw. Developers around the world are still trying to figure out how to get their tools and libraries to work with the new modular system, I recommend reading the resources collected by Nicolai Parlog (@nipafx), Paul Bakker (@pbakker), and Sander Mak (@Sander_Mak). Speaking of Paul and Sander, they have been inducted to the Java Champions program along with 39 other individuals whose contributions to the Java community have been recognized. You can read the list and their short bios at the official announcement posted by Oracle. I’ve curated a copy of the list in asciidoc format with additional information at https://github.com/aalmiray/java-champions/. I’ve would have attended more events if I hadn’t consciously boycotted travel to the USA for a year as a form of protest to the current political situation. This meant a lost opportunity to host Hackergarten once more at JavaOne and missed out meeting old and dear friends as well as making new ones. On the other hand I was able to reach out to farther Asia, presenting twice in person in Tokyo and once in Singapore, remotely to Manila in The Phillipines, even reached out as far as Melbourne, Australia, albeit remotely. Colombia, Perú, México, and Guatemala are also in the list of remote events; very much looking forward to engaging other Latin American JUGs! We were able to record three of the presentations at Torino, Sebastian posted the videos to the Nighthacking channel. The tour was a success, and we’re planning other routes (and continents) for this year, stay tuned! Regarding Open source projects, Griffon has continued with its predictable 3 month release schedule thus 2017 saw 4 more releases: 2.10.0, 2.11.0, 2.12.0, 2.13.0. The Griffon teamis planning one more release in 2018 before stopping the release train to make way for integration with JSR-377, the JSR for Desktop & Embedded Applications. The JSR-377 EG has resumed work on the API and I’m happy to say we’re quite close to getting the specification ready for an Early Draft Review. Work on the TCK has also been started, this JSR may even have integration with JSR-382, the JavaConfig JSR. JavaFX related projects such as Ikonli and BootstrapFX also posted updates to make sure they fully work with Java 9. Circling back to the first topic (Java9) you may find yourself needing to know if the source code you’re working on is Java 9 compatible, also any dependencies consumed by the project. Java 8 included a new command line utility called jdeps If you happen to use Gradle as a build tool then I’d recommend you to have a look at the jdeps-gradle-plugin as it can give you a detailed report on both production sources and project dependencies. This project is another result of the efforts made during Hackergarten meetings, this time in Japan! I’m also very happy that Basel and Luzern Hackergarten chapters have managed to keep up with one another, hosting meetings almost every single month in the year. Bern Hackergarten has decided to schedule their meetings every two months. And we welcomed Lausanne as the latest addition to the Swiss based chapters. We’re looking to restart Zürich this year. Would you like to host a Hackergarten? Get in touch! Last but not least, I joined the JCP Executive Committee in November. I firmly believe that Open Source is a viable way to build solutions that benefit everyone. For years I was happy consuming Open Source software until one day I decided to contribute back to the community. That was 14 years ago. Since then I’ve been able to contribute to many Open Source projects, most of them related to Java in one way of another, for example I’m a committer to the Apache Groovy project, also committer at the Eclipse Foundation. The decision to join the JCP goes along the same vein; my career has been deeply influenced by the path followed by Java, now I want to help steer it as close to the source, firstly by leading JSR-377, the JSR in charge of standardizing how Desktop and Mobile applications may be built, secondly by joining the JCP EC. The JCP EX just had its first face to face meeting in 2018.